← Why is UV Protection Important for Your Eyes? It has been scientifically proven that smoking causes cancer and cardiovascular disease. 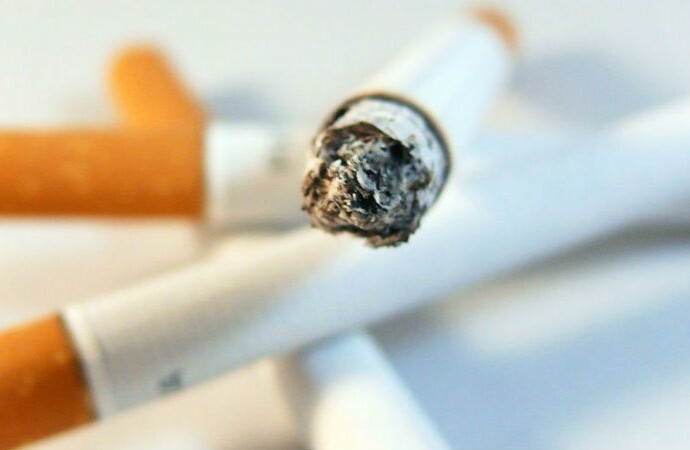 Have you ever wondered if smoking or second-hand smoke affects your eyes? The average cigarette contains over 4000 chemicals and additives which not only have detrimental effects on the body and lungs, but also on the eyes. Studies have shown that when children are exposed to smoke, there is a risk of developing allergic conjunctivitis (red, itchy, watery eyes – basically eye allergies). Studies have also shown that mothers who smoke while pregnant have a 6.55% chance of causing their child to have a condition called strabismus (turned or crossed eye) as well as have underdeveloped optic nerves (which is a cause of blindness). If a child does end up having strabismus, surgery can be performed to make the eye cosmetically more appealing (the eyes look straight). Vision can become normal however there is a high chance that the eye will be permanently impaired because the brain cannot form proper connections with the optic nerve. After surgery, even though the eye looks straight, there is a chance it will still not see properly. Prolonged exposure to cigarette smoking in adults can cause cataracts (yellowing or clouding of the lens). Studies have shown that people who smoke develop cataracts at a much quicker rate than non-smokers. By smoking, the risk of having an inflammatory reaction in the middle section of the eye (the uvea) is increased by 2.2 times. This causes a painful condition in the eye known as uveitis. Furthermore, this can lead to even more complicating conditions such as glaucoma or a retinal detachment after a period of time. The most commonly known association is that between smoking and the increased risk of macular degeneration (which causes wavy central vision affecting reading/driving and distinguishing faces). There is triple the risk of developing macular degeneration in those who smoke compared to non-smokers. Dry eye is also increased in smokers (twice as high) because smoking causes changes to the lipid (fat) layer of the tear film on the eye. This can result in red, itchy, watery, and irritated eyes. The good news is that decreasing smoking (or eliminating exposure to it) at any age is the main way in which to prevent or reduce your risk of ocular disorders associated with smoking. Even with decreased smoking or quitting smoking entirely, the eyes heal slowly and can take a few years to recover from the harmful effects that smoking causes to the eye. If you have any further questions about how smoking can affect your vision, feel free to ask one of our qualified Optometrists.